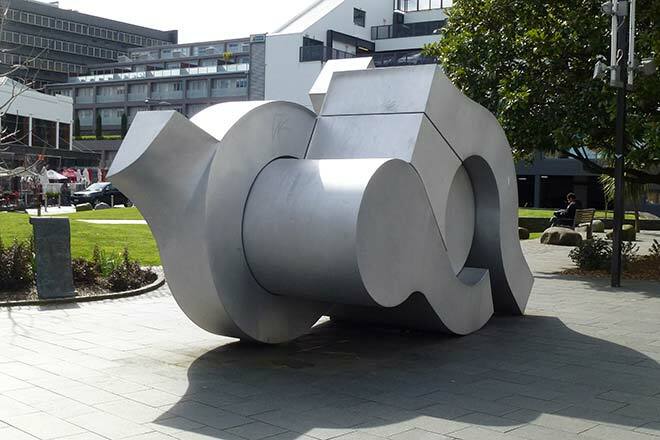 Marte Szirmay's 'Smirnoff sculpture' (1969) was the first large abstract work to be commissioned in Auckland. Made from aluminium, a material usually associated with industry and commerce rather than the fine arts, its eight interlocking pieces suggest movement and life, despite the absence of organic forms. It won a sculpture competition to commemorate the centenary of the suburb of Newmarket, and is situated there in a small public square.